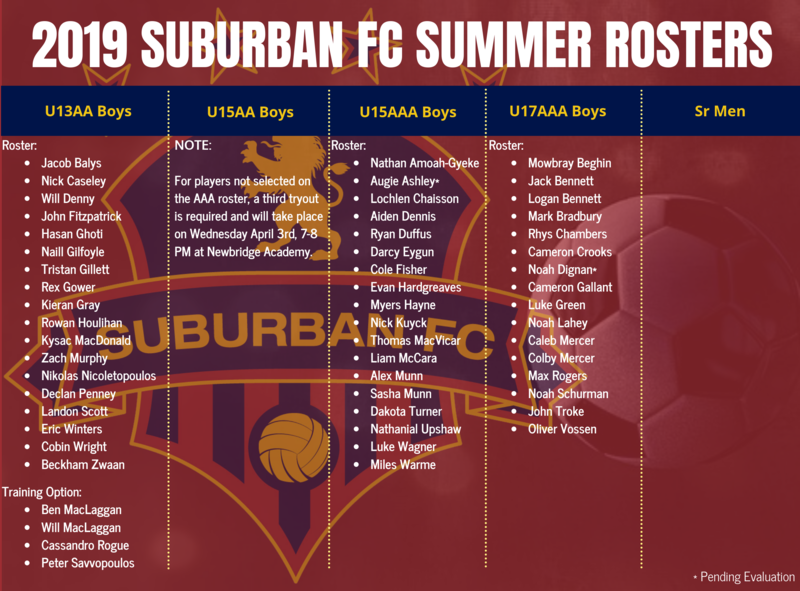 The 2019 SFC Technical Committe has announced several of the summer roster lists. Please note: there will be a third tryout for U15AA teams on Wednesday April 3rd at Newbridge Academy. U15AA Girls are from 6-7 PM and U15AA Boys are from 7-8 PM. For U15AA players that are interested but cannot make the third sessions, please email tech@suburbanfc.ca as soon as you can. As per usual, if you have questions or concerns please email tech@suburbanfc.ca. 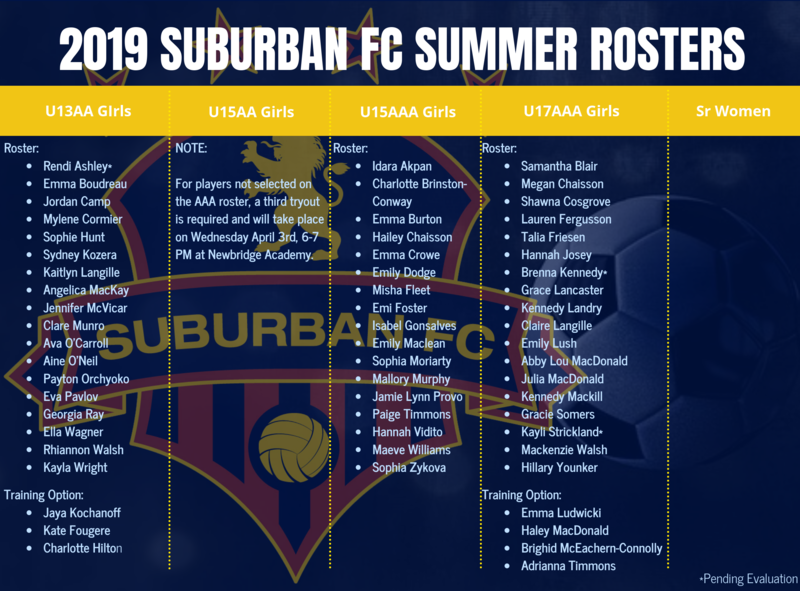 Suburban FC would request that you wait 24 hours before reaching out.